Win a three month supply of the UK’s most comprehensive fertility supplement, recommended by fertility specialists. Now available exclusively from Boots Online! You and your partner will both win a three month supply of Proceive for Women and Proceive for Men, containing a comprehensive formula of vitamins and minerals for couples trying for a baby. Proceive Women is designed to support the female reproductive system and provide the nutrients which are scientifically shown to play a vital role in supporting the hormonal system and the development of quality egg cells. Proceive Women Max contains 33 vitamins and minerals and is designed for women over 35 years of age or women over 18, who have been trying for a baby for 12 months or more. 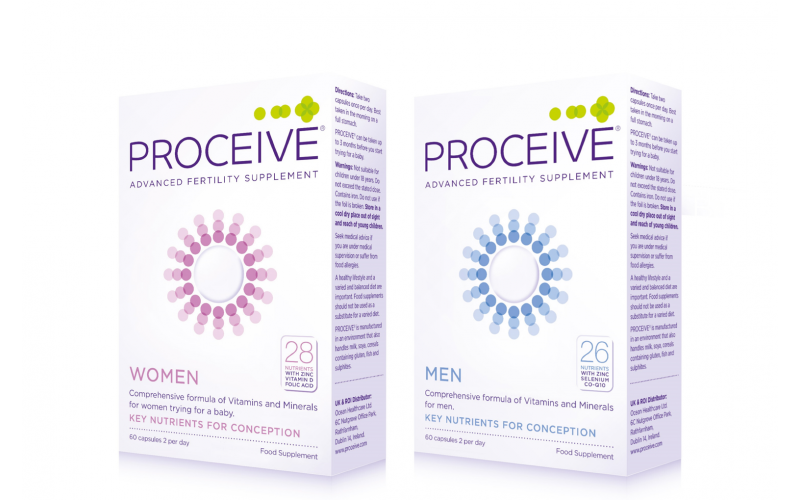 Proceive Men is designed to support the nutritional demands of the male reproductive system. Key benefits of Proceive Men include healthy sperm support, energy support, antioxidant supports and blood flow support. Proceive Men Max contains 33 vitamins and minerals for men and is designed for men over 40 or any men over 18 years of age who have been trying for a baby for 12 months or more.